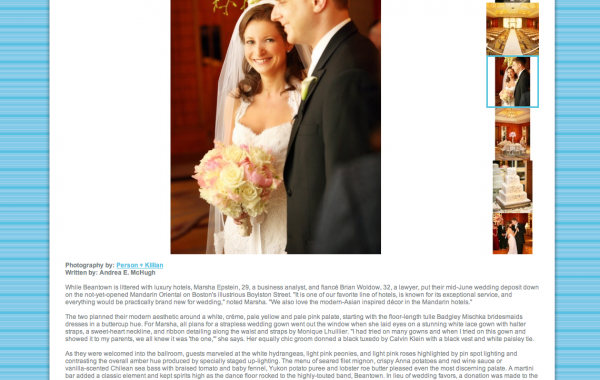 A very special thank you to Beantown Bride for featuring Person + Killian Photography for their “Real Wedding” of the day. 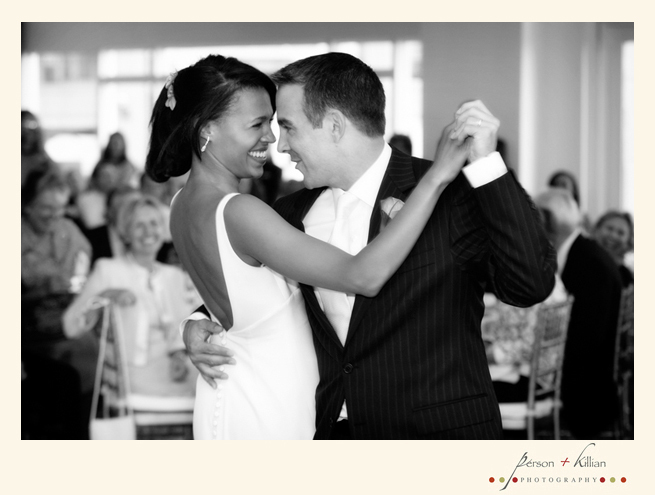 Shayna and Steve’s picture perfect wedding took place at the Boston Harbor Hotel. 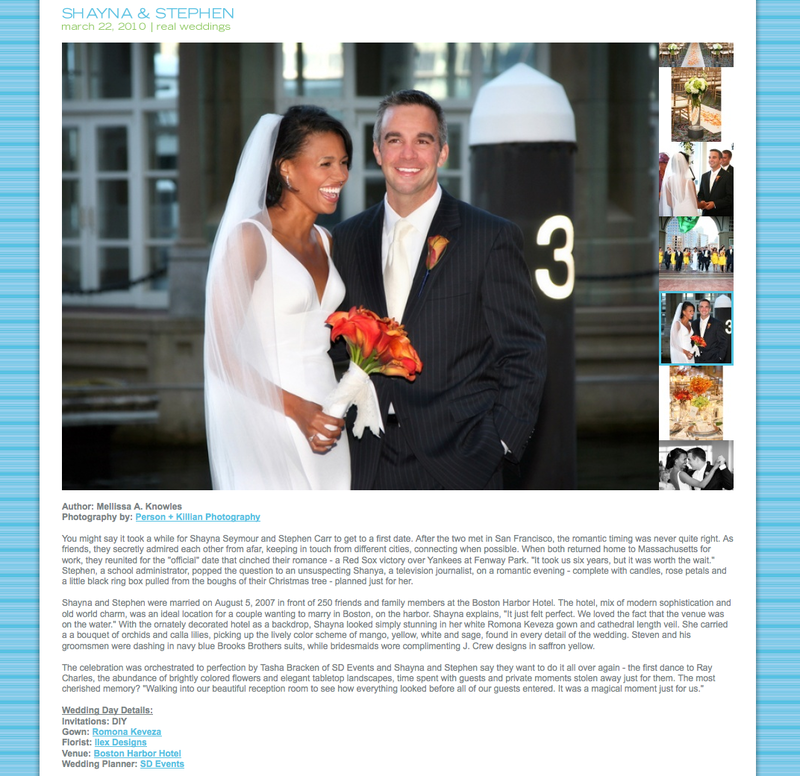 You might say it took a while for Shayna Seymour and Stephen Carr to get to a first date. After the two met in San Francisco, the romantic timing was never quite right. As friends, they secretly admired each other from afar, keeping in touch from different cities, connecting when possible. When both returned home to Massachusetts for work, they reunited for the “official” date that cinched their romance – a Red Sox victory over Yankees at Fenway Park. “It took us six years, but it was worth the wait.” Stephen, a school administrator, popped the question to an unsuspecting Shanya, a television journalist, on a romantic evening – complete with candles, rose petals and a little black ring box pulled from the boughs of their Christmas tree – planned just for her. 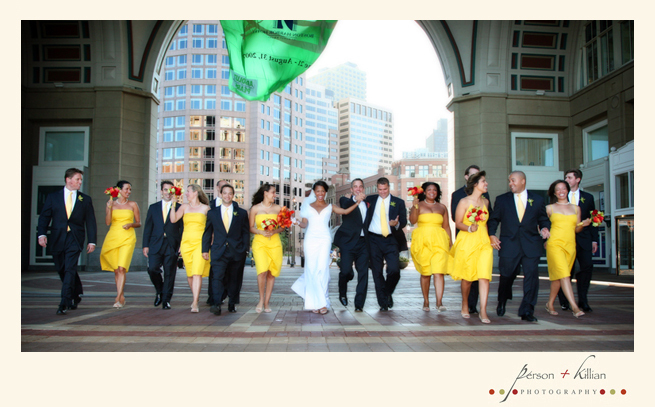 Shayna and Stephen were married on August 5, 2007 in front of 250 friends and family members at the Boston Harbor Hotel. 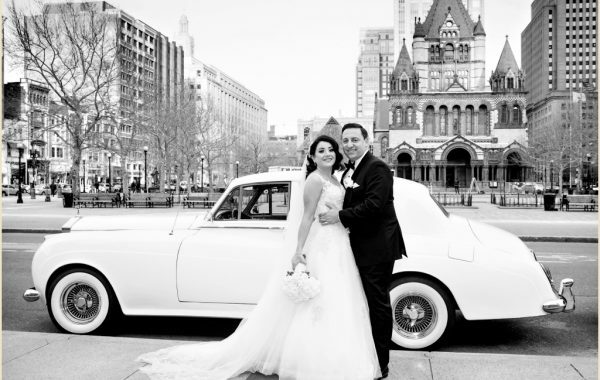 The hotel, mix of modern sophistication and old world charm, was an ideal location for a couple wanting to marry in Boston, on the harbor. Shayna explains, “It just felt perfect. 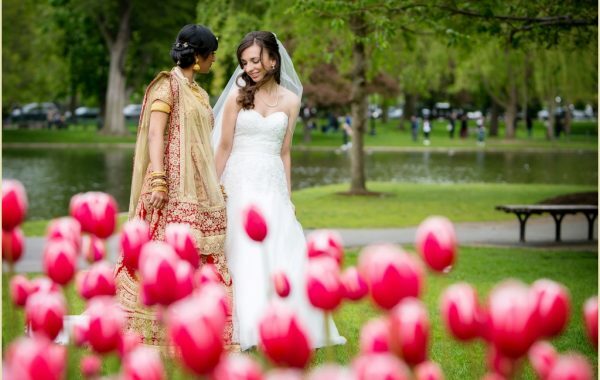 We loved the fact that the venue was on the water.” With the ornately decorated hotel as a backdrop, Shayna looked simply stunning in her white Romona Keveza gown and cathedral length veil. 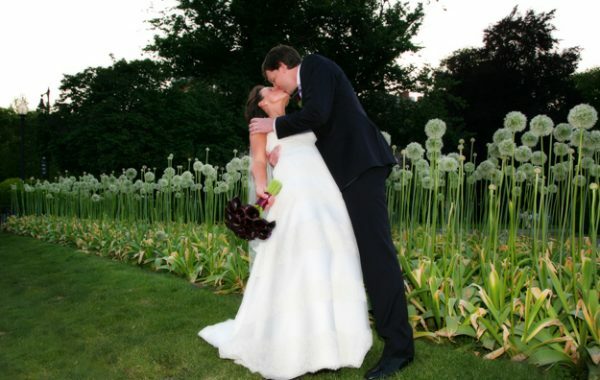 She carried a a bouquet of orchids and calla lilies, picking up the lively color scheme of mango, yellow, white and sage, found in every detail of the wedding. Steven and his groomsmen were dashing in navy blue Brooks Brothers suits, while bridesmaids wore complimenting J. 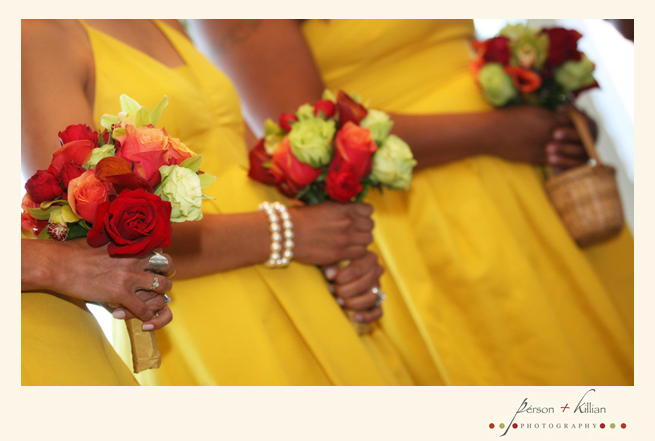 Crew designs in saffron yellow.